Space is an expensive resource. The cost of running a typical workstation in a corporate office environment ranges from £4,000 in cities outside London, to as much as £12,000+ per annum in larger cities. Under-used space is a wasted expense and companies need to know whether they are getting true value for money from their facilities. 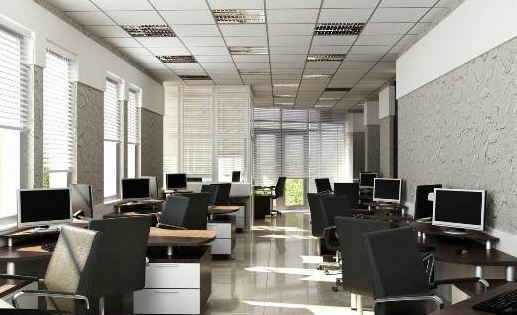 Statistics show that many organisations have under-utilised spaces such as meeting rooms that are rarely used to capacity, private offices that are often unoccupied and workstations that are underused. As running costs for buildings spiral upwards and pressure to reduce energy usage and carbon footprints mounts, the need improve space usage and reduce wastage is increasingly important. Find out what kinds of working spaces people prefer. Axiomatic provide automated solutions designed to accurately monitor your space usage, avoiding the need for time consuming, expensive and error prone manual surveys. From wireless PIR/based desk sensors to overhead thermal people counters, allowing us to design a system that will offer accurate data whether you are looking to analyse the use of a whole building, individual rooms or workstations. Where you use room booking or desk hoteling systems, we can integrate usage statistics with booking data to show how predicted use compares with actual space utilisation. Using our space management counting solutions alongside energy monitoring equipment facilitates occupant-centric energy profiling, allowing you to calculate energy use per capita rather than per square metre. According to reports in The Times and Facilities Management Journal, A YouGov poll has shown that UK plc could save over £34 billion by freeing up desk space and working more flexibly. The poll showed that the majority of businesses (65%) believe they could not lose any desks, whilst at the same time grossly underestimating the cost of each workstation at just £446 as opposed to the actual average cost of £5,746 per desk across the UK. Only 18% of UK businesses have a hot-desking policy, yet more effective use of office space could reduce the number of desks by an average of 46 workstations, saving a typical organisation £260,000 per year. (ref: Facilities Management Journal April 2013). The type, or combination, of technology used to track your space use depends on a variety of factors. Click on the image below to learn more about each option, or contact us directly to find out more.